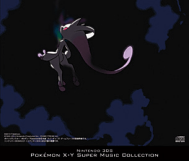 Music from the games Pocket Monsters X & Pocket Monsters Y! This four-disc set will also contain 212 tracks that will clock in at over three and a half hours! 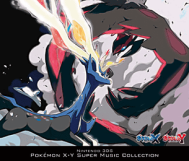 Five of the tracks will be music from the original Red & Green games and five of the tracks will be rearranged versions of those Game Boy tracks used for the TV special Pocket Monsters The Origin.